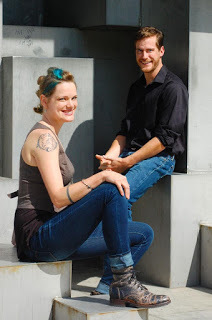 Two Chicks On Books: Blog Tour- SHADOW CALL by AdriAnne Strickland & Michael Miller An Except & Giveaway! 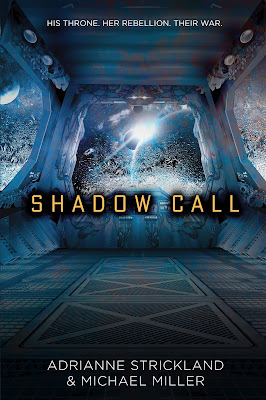 Blog Tour- SHADOW CALL by AdriAnne Strickland & Michael Miller An Except & Giveaway! Hey everyone! 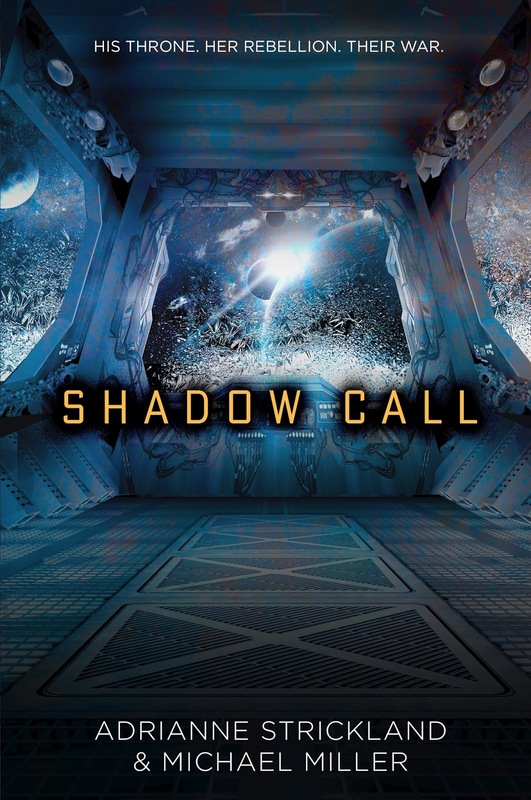 I am thrilled to be hosting a spot on the blog tour for SHADOW CALL by AdriAnne Strickland & Michael Miller! I adore Adri and Michael and this book is just as amazing as the first one! Haven't heard of SHADOW CALL? Check it out! “That wouldn’t be to Embra, would it?” Father said flatly, with a sardonic lift of one brow. Embra was the Belarius homeworld. Heathran’s. Father thought I wanted to use an honored family tradition in order to go flirt. He was taking me as seriously as Marsius was. “I know the symbolism,” I snapped, my cheerful façade breaking for just a moment. My hand clenched sharply in his. I wasn’t sure what I wanted to do more, tear away or crush his fingers. Would that I could do either without causing a scene. Match. The word was like a punch to the stomach. “For whom?” I asked, even though I knew. It took everything I had not to come to a halt, to let him lead me in a few more steps. To follow like an animal to the slaughter. “But he’s old.” Gavros was younger than Father by a score of years, but he was still over twice my age. “He is hale and in his prime, with an unparalleled grasp of strategy. You’ll find his intellectual prowess stimulating,” Fa­ther insisted in that tone of his, as if he could direct gravity to weigh more heavily upon me. “Anyway, you knew long ago that your eventual royal partner wouldn’t be someone you’ve flirted with at a party.” His eyes flicked in Heathran’s direction. True. The game was up. But Father hadn’t given me any time. “We’re not talking about him,” Father growled under his breath, sending me into another spin that was a little too fast. No one would take me seriously as his replacement. I cast a glance at the farthest planet in the model of our system, its sun a faint spark at the distant edge of the ceiling, nearly lost in darkness, where Nev was spending his exile with his com­mon girl. Rule for you, make you into a figurehead. He stared for a long moment. I could see the flash of des­peration, as brief as the twitch of my hand, in his eyes. Our family was in peril, and yet he viewed me, a young woman as­suming the throne alone, as its greatest danger. In that moment, if there was a way he could have forced me to marry, I knew he would have. Father only had to see Nev again and he would understand. No doubt he believed Nev to be an unforgivable traitor. But perhaps not before he would at least try to treat with him. Try to see him differently, despite his past behavior—the same courtesy he refused to extend to me. When he met Mother’s eyes across the ballroom, I knew then that he would do it. Mother missed Nev. Underneath all her layers of prim and proper, she was completely sentimental at heart. Father missed him too, but the difference was that she’d admit it. The music swelled. Despite losing Heathran for the mo­ment, the night was indeed mine. Want more? Go to Bookhounds YA on 4/18 for the next part! I would love to read both these books! Thanks.